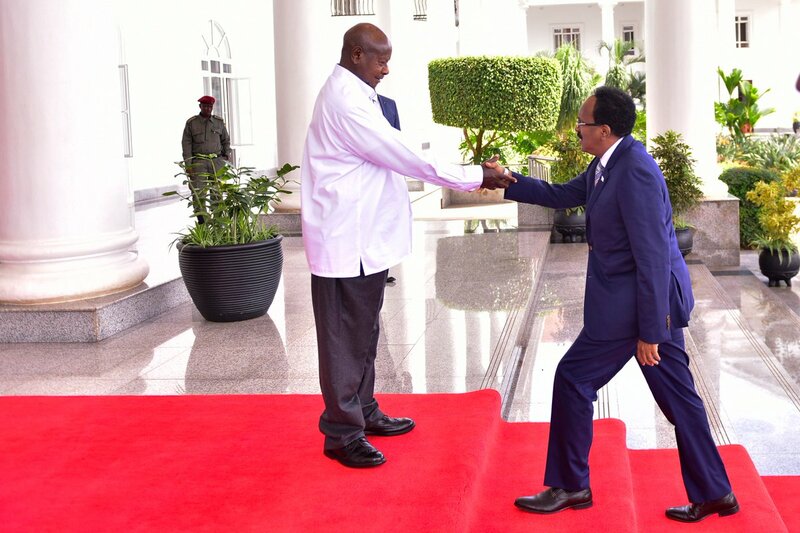 ENTEBBE – President Yoweri Museveni and his Somali counterpart Mohamed Abdullahi Mohamed on Saturday held discussions at State House, Entebbe. The two leaders’ talks centred on areas of cooperation between Somalia and Uganda particularly in the areas of peace, security, defence, education, trade and investment. He further observed that if the objectives of the agreement framework were achieved, the initiative would facilitate the resolution of political differences and end the conflict in the Horn of Africa Region.